Are Actions Against the Venezuelan Government Really About Oil? Venezuela is a petro-state. It has the world’s largest oil reserves. Other oil-producing nations — Iraq, Libya and Iran — have come into Western cross-hairs in recent decades, with drastic consequences. In each instance, Western governments have identified democracy and human rights as a reason for intervention without mentioning petroleum. Venezuela is part of a bigger picture — the rivalry for control of the world’s oil and natural gas. I describe this petroleum game in my new book, Oil and World Politics, and show how it is played by global and regional countries, each using whatever tools, allies and organizations offer advantage. The aim is to achieve gains in power, wealth or politics. The reality is: oil and geopolitics are inseparable. Venezuela is a case in point. To address two years of governmental paralysis, President Nicolas Maduro established a Constituent National Assembly in 2017, which called an election to select new representatives. The working class and poor voted in huge numbers. The opposition — representing the business elite, well-to-do and media owners — boycotted the election, held violent rallies and called for strikes. Washington sided with the opposition by imposing sanctions on officials, including Maduro himself. It also imposed financial sanctions on Venezuela’s banking and oil sectors. The United States claimed the measures were designed to “deny the Maduro dictatorship a critical source of financing to maintain its illegitimate rule.” When Maduro won Venezuela’s 2018 election in May, Western countries added more sanctions. Historically, Venezuela has been a major source of US oil imports, but sanctions affect Venezuela’s ability to produce and export oil. The latest US sanctions prohibit US institutions from dealing in new debt or equity issued by Venezuela or its national oil company PDVSA, and from making dividend payments to the Venezuelan government. These measures impact PDVSA’s American refining and marketing subsidiary CITGO, preventing it from remitting a billion dollars or so annually. Lack of foreign exchange has impeded PDVSA from importing spare parts for maintenance. Further, sanctions make the financing of oil exports difficult. The Venezuelan economy appears in free fall. Maduro blames “supremacist policies” of the United States and “economic war” by the country’s opposition. 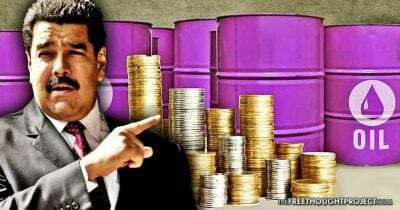 He has introduced monetary reform to avoid the US dollar in oil transactions. China and Russia have befriended Venezuela, extending loans in exchange for oil. Senior US officials have advocated regime change. US President Donald Trump has threatened military intervention. Since the days of President Hugo Chávez, the United States has disliked Venezuela’s preference for its national oil company. It favours privatization worldwide. Although Venezuela allows foreign oil companies to operate under contractual arrangements, ownership of resources remains with Venezuela. Washington facilitated a failed coup to unseat Chávez in 2002. It denies participation in a failed drone attack on Maduro in 2018, though it has worked closely with opposition leaders before and since and supported them financially through its National Endowment for Democracy. Are the threats and sanctions solely about Venezuela’s governance? Other countries with democracy deficits are ignored. Venezuela and Canada have both differences and commonalities. Venezuela regards oil as its national patrimony. Canada follows US approaches to petroleum policy, having abandoned its National Energy Program. Much of Venezuela’s oil production comprises heavy oil and bitumen from the Orinoco river basin. Two-thirds of Canada’s oil production comes from the Alberta oil sands, mostly bitumen. Both countries must send such oil to specialized refineries for upgrading before it is refined into useful products. Since refineries with this multi-billion dollar equipment exist primarily in the United States, Canada and Venezuela are in competition for US refineries. Bitumen is viscous like molasses and must be diluted with high-quality light oil to enable shipment by sea or pipeline. Bitumen is also high in sulphur and contaminants. Both the nature of bitumen and the need for upgrading lower its value. When world oil prices exceeded US$100 per barrel a decade ago, companies flocked to Alberta’s oil sands with strong support from the Canadian government. Recently, international companies have been divesting from the oil sands and investing in lower-cost resources elsewhere. The world is awash in crude oil and world prices are much lower. Prices are lower still for bitumen, given its quality. Canadian-based firms remain entrenched, but oil sands operations have failed to generate expected profits. In 2018, Canadian exports to US refineries exceeded those of Venezuela for the first time. With more expansion of oil sands planned, actions to limit Venezuelan exports benefit Canada. Sanctions on Venezuela (Iran too) have helped tighten the global oil market and bolster prices, to Canada’s and Alberta’s benefit. Wars for resources are illegal under the UN charter. Yet since 9/11, numerous countries with a petroleum connection have experienced conflict. Some — like Iraq, Libya, Iran and Venezuela — have petroleum resources. Others — like Afghanistan, Syria and Ukraine — have a strategic location for pipelines. A few countries — like Somalia and Yemen — border strategic sea routes. All these countries are caught up in rivalry among the United States, Russia and China. What’s going on internationally remains largely hidden because of its complexity and the management of public perception. Sanctions against Venezuela are part of a US global push for energy dominance. It draws other countries in through organizations such as NATO, the International Monetary Fund and the World Bank. Its plans are to thwart Russia, a major oil and gas-producing country, and contain China, which gets most of its oil from the Middle East. Russia and China have joined together strategically to promote new financial organizations as alternatives to the IMF and World Bank, challenging US dominance. Their mutual trade has expanded and they are cooperating diplomatically, economically and militarily. The two countries are trading in rubles and yuan, avoiding use of the US dollar. Motivations are often complex and difficult to decipher. Yet Canada is collaborating with the US in sanctions on Venezuela, Iran and Russia, all oil-producing countries. Canada is also active in the Lima Group, the 14 OAS members exploring a solution in Venezuela. The Venezuelan opposition supports the group. Canada’s focus on Venezuela’s internal affairs follows the pattern of Western arguments used against other oil-producing countries. The OAS charter stipulates “no state or group of states has the right to intervene … in the internal or external affairs of any other state.” Sanctions are a form of intervention, reducing Venezuela’s ability to produce and export oil. Is Canada playing the petroleum game too? How the sanctions will affect democracy is uncertain, but they are already benefiting Canadian oil. This article was originally published on Opencanada.org. John Foster is an international petroleum economist and author.